This box is full of winter comforts to keep you warm, happy and relaxed! From soft fabrics to delicate scents, these items will make your loved one feel extra cozy this holiday season. 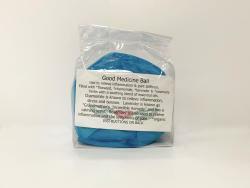 Relieve inflammation and joint stiffness with a Good Medicine Ball from Tickle My Senses Gallery. Made with organic flaxseed, chamomile, lavender & rosemary, it has a soothing scent, and can be warmed in the microwave. 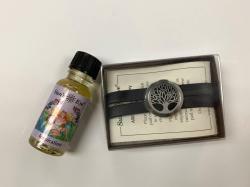 Start the New Year with “Inspiration” essential oil blend and a Leather Aromatherapy Locket Bracelet from The Inner Connection. The healing tree motive is fashionable and allows you to keep soothing scents with you all day long. 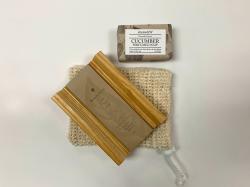 Take a relaxing bath with 3.5 oz Cucumber Perfumed Soap, complete with an Exfoliating Soap Bag and Handmade Ash Soap Dish. Little Bits & Pieces Gift Boutique in Camp Hill carries a large selectin of designer bath products. You’ll fall in love with this incredibly soft, lightweight, large, oblong, checkered scarf! It can be used as a shawl, blanket or scarf, and you’ll love how soft it feels on the skin. 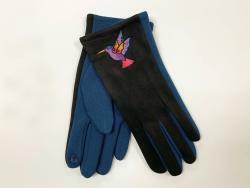 These hummingbird gloves feature cute flowers on the pointer and thumb fingers, making it easy to use touchscreen devices while keeping your hands toasty.